We always said we’d prefer a childminder to a nursery to begin with – we liked the idea of a more personal service. We wanted to go with a personal recommendation but unfortunately everyone we heard of via word-of-mouth was already full. So I turned up to meet Penny* – the outside of her house was a bit of a mess and I recalled a forum I’d read the previous night where a mummy said she’d driven off when she saw the state of a potential childminder’s house! I was pleasantly surprised when she answered the door and it was someone I’d been sat next to, and chatting to, at a playgroup just a few days before! Spooky! She seemed great, nice, laid-back with 2 of her own kids and a couple of others in her care. I was all for choosing her anyway, and then I got a sign…. we were talking about comforters and I was saying that I needed to get a duplicate for ours as we’d be lost without it but I’d probably left it too late…. she only had a spare duplicate of our comforter that her son hadn’t taken to so we could have it! I do like a good sign so that was that! I cancelled my appointment with the third potential childminder, and didn’t bother making an appointment with the nursery that I was going to check out (although it will always be an option if things don’t work out for whatever reason). We’ll be paying £37.50 a day (which assuming an 8.5 hour day works out at £4.41 per hour) – most childminders seem to range between £4 and £5 per hour. This is nearly £20 cheaper per day than the nursery I mentioned! Weeks 19-20 of being a mummy – more smiles and sunshine! We’ve had a lovely few days out, just the 2 of us… one of the things that’s fab about maternity leave is checking out places on your doorstep so e.g. 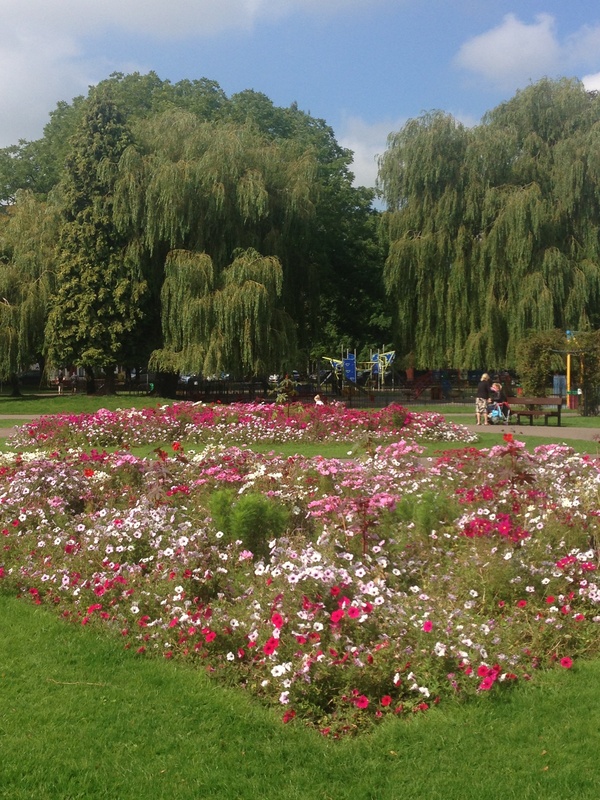 a walk around Victoria Park in Cardiff followed by a lovely pancake! We spent his 20 week birthday in a static caravan with his grandparents in beautiful Porthcawl…. W kicks. A lot. In his bouncer, on the floor, when you hold him, on the changing table…. I think he’s worked out that h can make a noise/vibrations when he kicks…. The last few days he’s also started arching his back when lying on the floor (like a yoga move!) – I’m not sure what he will do from here – shuffle backwards maybe?? He pulled the owl for the first time last week!! For those that have the Fisherprice Woodlands bouncer, you’ll know what this means! He’s close to being able to grab the butterflies in his play gym… it’s great seeing his determination and inquisitiveness to reach for these things! Thursdays – free day! I’ve just found out that the local council gym just a short walk away, has a crèche on Thurs mornings so I could go to some classes – I plan to try it this week – we’ll see! Fridays – in middle-class problems style, our cleaner comes for 2 hours in the afternoon to hoover, scrub the bathrooms, kitchen etc. So my mornings are spent tidying up so that she doesn’t tidy our stuff away and so that she can get to the floor! 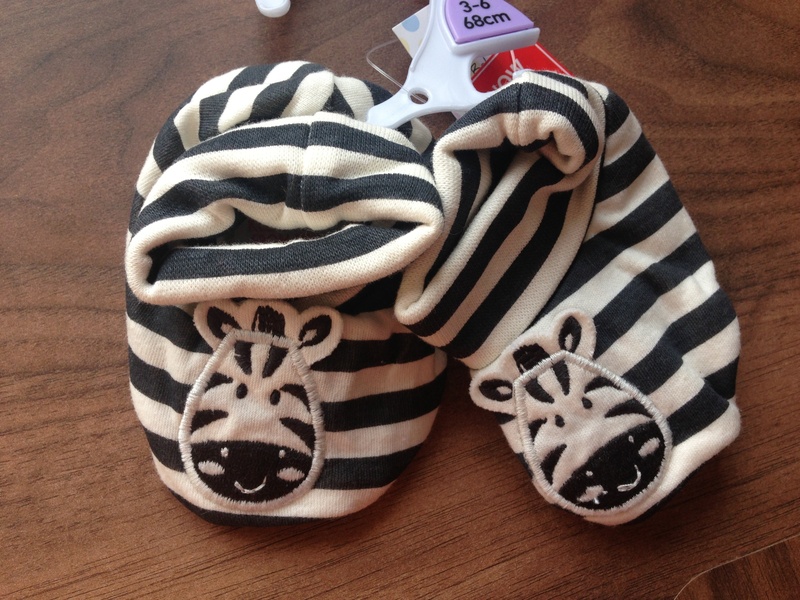 Look at these cutie booties we got in Tesco for £2! Author yummybloggerPosted on September 23, 2014 September 23, 2014 Categories my regular updates, parenting13 Comments on Weeks 19-20 of being a mummy – more smiles and sunshine! 1) What’s the best thing about social media? I love and hate it for a range of personal and professional reasons but the best thing about it has to be the ability to easily stay in touch and keep updated from friends and acquaintances around the world! 2) If your blog had a personality, how would you describe it? 3) Which of your children’s toys would you rather had never been invented? My baby is too small to think of anything for this, although the music on his playgym does get annoying from time-to-time, there’s no way we could be without it! 4) What’s your best blog post title/headline? 5) If you could only give one tip to another blogger what would it be? 6) Would you pick the scenic route or the fastest route when going on holiday? 7) What do you do with your blog when you go on holiday? My blog takes a holiday too! 8) Where do you get your inspiration from for your posts? Real-life! My regular updates are a bit of a diary for me, more than anyone else! My product reviews are all things I use that I want to tell other mums about, as I’ve found reviews so useful when I’ve been researching products. So I don’t just review things that brands ask me to review, I review stuff that we use or things I’ve bought. 9) If you were told you couldn’t no longer blog right now, what would you do? 10) When do you spend the most time on your blog? I only blog when baby’s asleep in the daytime and as he only takes short naps now, that is quite a challenge! 11) If you could be reincarnated as any animal, what would you be and why? A cat – I love cats – and look how much sleep they get! 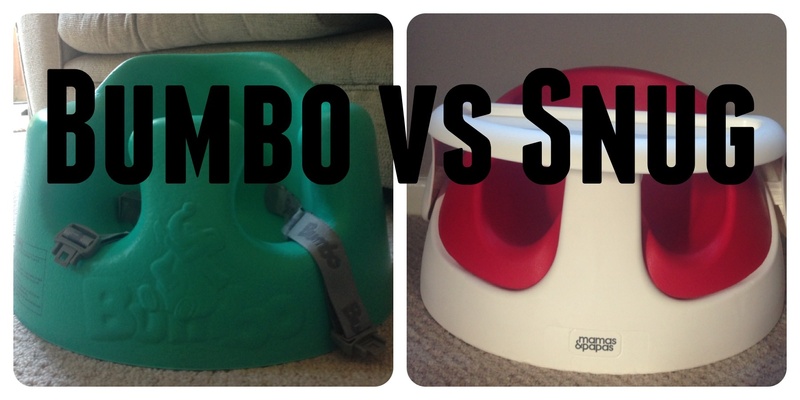 The battle of the baby chairs…. This seems to be a must-have baby product. I’d heard about it when I was pregnant and I’ve got to be honest, I didn’t really like the look of it (I always thought it looked a bit too much like a potty for some reason!) but I was aware that I should buy some sort of chair for baby W as he was getting to the age where he could sit up. Then one week, they had one at the mother and baby group we go to and I plonked him in it. Instantly, I realised why it was such a must-have item – my little 4month old baby looked so cute and grown-up! The next day I went to Asda to buy one and my excitement quickly disappeared when I got it home. I liked the way he was positioned in it – hard to explain but baby’s bum is quite low down in it, seems like a nice comfy position. The big downside is I realised that his chunky legs were already quite snug and didn’t allow much (any) room to grow. I thought I should take it back to Asda as basically it wasn’t going to last very long at all for us! But also, the tray that came with it didn’t seem to slot together – I didn’t want to force it and break it so I thought it was just a duff one but looking at some online reviews since then, it seems to be a common problem. For £40 you expect a bit more! 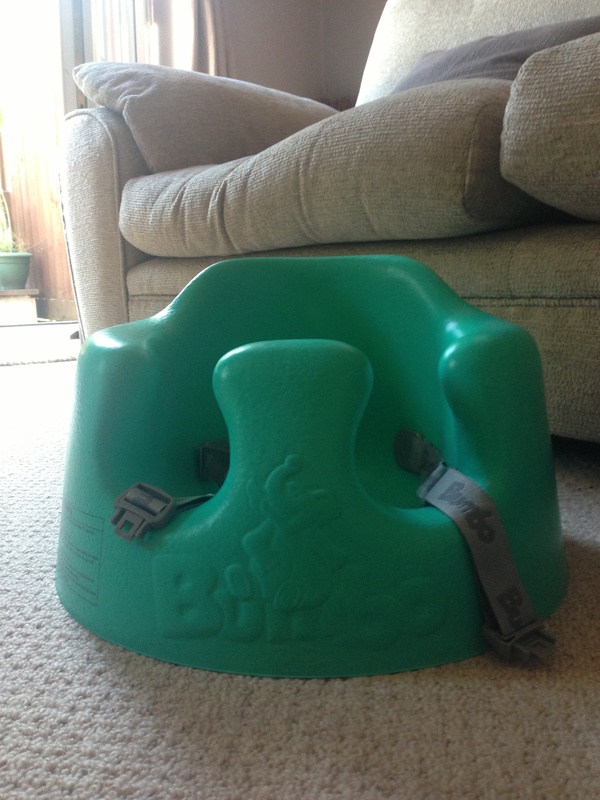 I’d not come across this until I asked on Twitter about alternatives to the Bumbo and a few people mentioned the Snug. It was on sale for £30 (normally £37) in the recent Asda baby event so I thought I’d give it a whirl. Personally, I think it looks a bit more attractive than the Bumbo and to me, it feels like a higher quality product due to the materials used and the finish. The tray slots together easily, I’m looking forward to using it for weaning shortly! 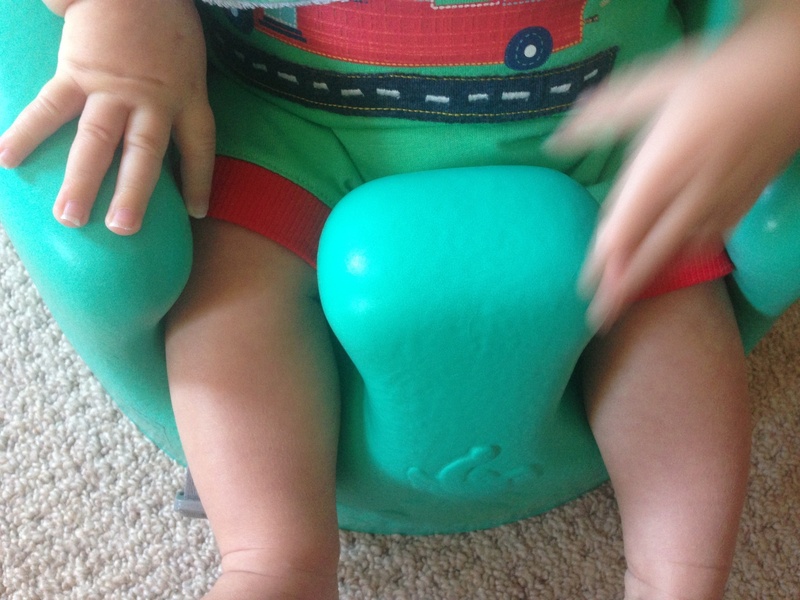 In my humble opinion, the Bumbo is an overpriced gimmick – I can’t imagine any baby would be able to use it for more than a month max (they can’t use it too early – you need to wait until they can support themselves etc). The Snug on the other hand, for £10 less, can hopefully be used for a good many months. I know there are some complaints that babies can fall out of the Snug, whereas the Bumbo comes with a fitted harness thing… but neither recommend leaving your baby unattended so if he does wriggle out of the Snug I plan to be there to catch him! Was this useful? If so, I’d love it if you shared it with your mummy/daddy friends on Facebook or Twitter, thanks! If you enjoyed this, you might also enjoy my guide on the top 9 things to do with outgrown baby clothes, or my epic guide to travelling abroad with a baby/toddler! I love a bargain, and I love spa treatments – so I snapped up a Living Social deal which was £50 for 2 people to have a facial, neck, back and shoulder massage, a manicure and access to the David Lloyd facilities in Cardiff. My sister and I used the voucher last weekend and here’s my thoughts…. The deal specified that they used Neal’s Yard Remedies’ products and I was looking forward to having these tested on me as I’ve only used their hand cream and plain massage oils. I’m 99% sure that they didn’t actually use Neal’s yard stuff, the facial products all smelt quite fruity e.g. an apricot scrub, whereas I’d expect Neal’s yard stuff to smell more natural as they use essential oils etc. To be fair, I didn’t ask what they use, but unusually for a spa who might want to sell their wares, they didn’t tell me either…. As part of the deal we were able to use the facilities and I was pretty impressed – the Jacuzzi, sauna and steam room were all good… but the best bit is they have an outdoor pool surrounded by loungers… the sun was shining so we sat out there for a bit and it felt like being on holiday 🙂 (As always, wish I’d taken a photo – taking photos for this blog is always an after-thought!) We had lunch there and it was really tasty – I had Moroccan lamb meatballs and sis had some Caribbean chicken thing, both were great! The rest of the facilities looked good – tennis courts, big gym etc and it definitely attracts a certain type of clientele which is what you’d expect when you apparently pay upwards of £75 to be a member! Overall result I’d happily love to use that outdoor pool again! Although the treatments all had good results, I’m not sure I’d be bothered about using Visual Contour again – for the same price I think there are better and friendlier places in Cardiff. Have you tried any Groupon/Living Social deals and had a good/bad experience? 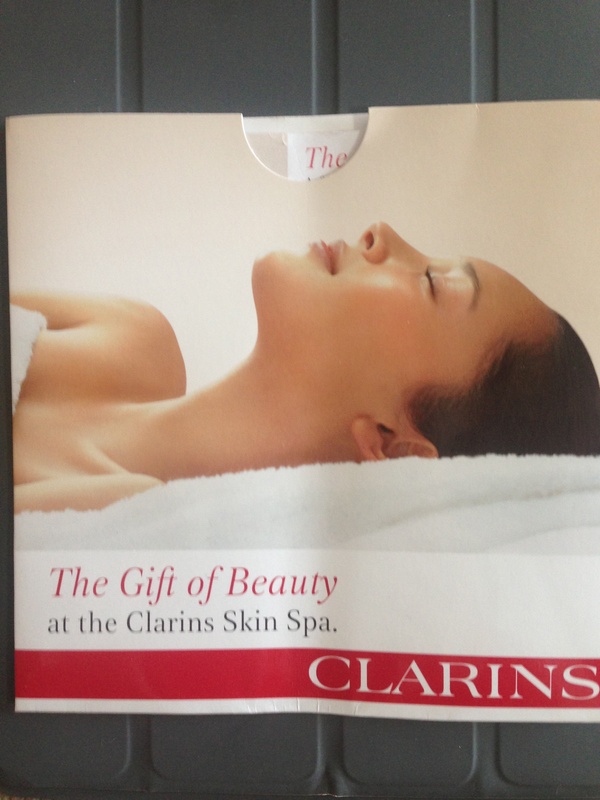 When I left work to start maternity leave, one of the lovely gifts I was given by my colleagues was a ‘mum-to-be treatment’ at Clarins in Debenhams, Cardiff. It’s a busy place (and I had to change my appointment a couple of times) so I only had this last week – obviously I’m not a mum-to-be anymore but they said it would still be good for new mums… and wasn’t it just! I arrived early and met my therapist Jenna, she went through a good consultation e.g. where I needed focus (e.g. lower back pain instead of water retention which is no longer an issue), how I like my massages (firm!) and what skin-type I have (it’s been a bit claggy since having baby W – I think it’s all the breastfeeding hormones!). We seemed to build a rapport early on, and I think she’d put anyone at ease – she was lovely! The treatment started with a back massage – despite me saying that my lower back needed the most attention, she found lots of knots in my upper back and tried her best to get them out (I think I need a few more sessions!!). Then on to the longest part of the treatment – a facial – including cleanse, scrub etc and then ending with a face mask. She tried to use products that I didn’t already have, but even the ones I do have always feels better when they’re applied with a bit of care by someone else! While the mask was on, she gave me an arm, hand, leg and foot massage which was lovely and if I had have been heavily pregnant the leg rub would have gone down a treat! I felt relaxed and glowing afterwards, and I could feel and smell those lovely products on me all day (glad I had it done in the morning!). I’d highly recommend this place – it’s a little oasis in the city centre, and I’d defo see Jenna again. The treatment costs £49 and says it lasts 1hr 15mins. In total (with the pre- and post- consultation) I was in there for nearly 2 hours which is great value for money! Jenna went through the products and special offers with me but it never felt like a hard sell, she gave me the list to take away. Either way, a lovely treat for a mum-to-be or new mum. Did you have any spa treatments when you were pregnant or as a new mum? Small print: I wasn’t asked to review or write this, I just wanted to share my experience with you! 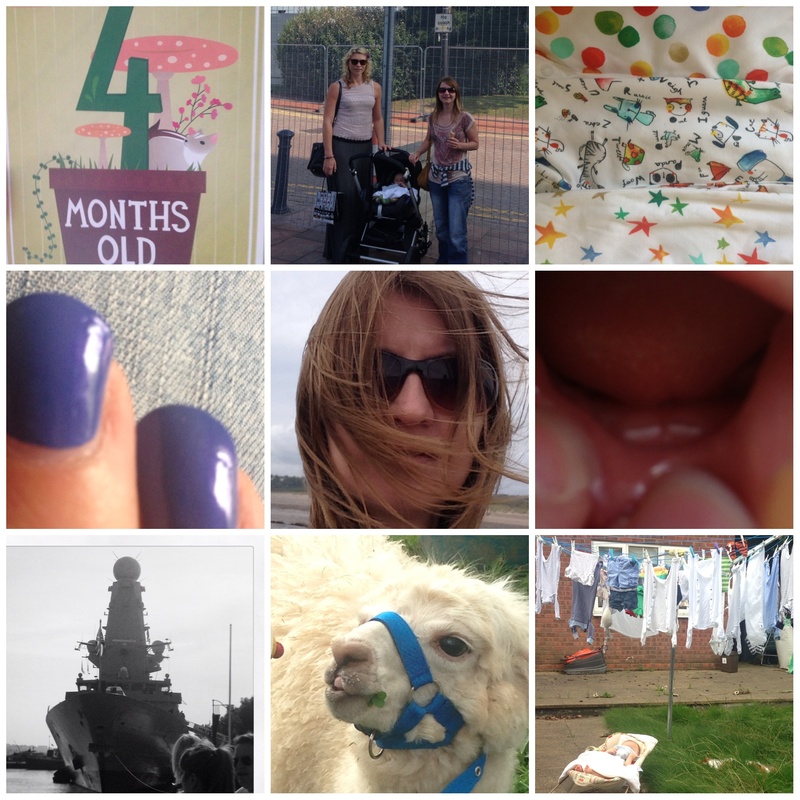 4 months old… a visit to Cardiff Bay…. new sleepsuits from Next…. 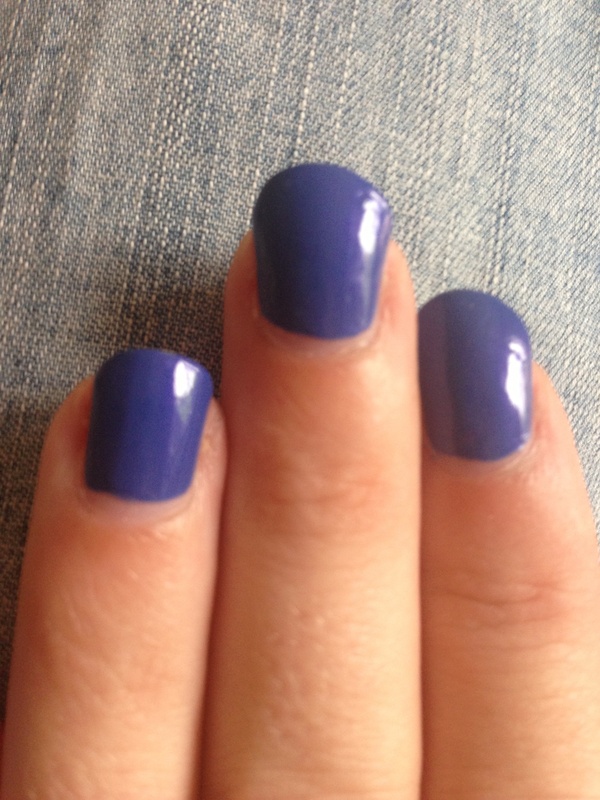 manicured nails… windswept by the sea… 2 teeth!.. HMS Destroyer.. a llama at St Fagans food festival… and a garden scene! One thing I’ve learnt as a new mum is that every day is different, as is every night… you never know what to expect! 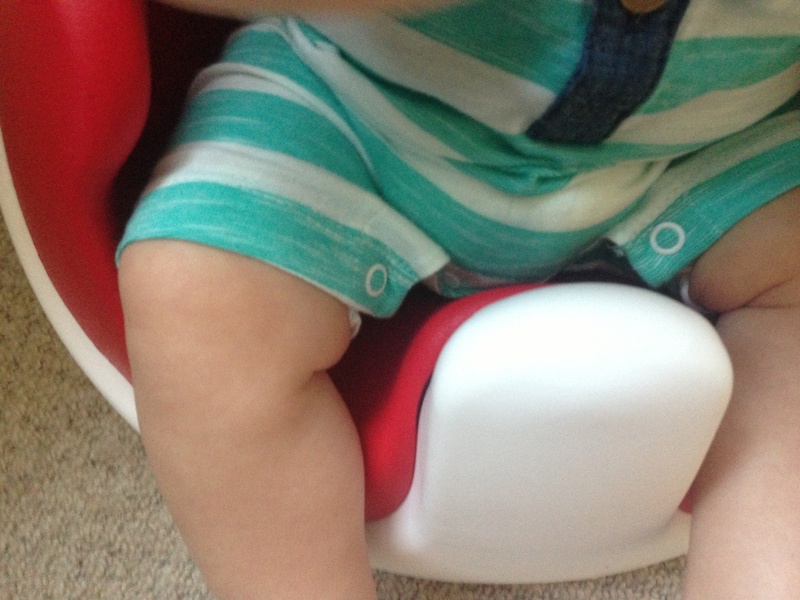 So in the last update, I’d had my toughest time yet as baby W cut his first two teeth…. now the last 2 weeks, that seems like a distant memory as the pain has gone and been replaced by his smiles and laughs! He turned 4 months last week – unbelievable! He loves smiling, loves being made to laugh, loves kicking away in his bouncer, still loves munching on his hand, comforter, Sophie the giraffe and anything else he can get his hands on (painful when he tries to munch our fingers now that he has teeth!! ), he loves being carried by his dad in the BabyBjorn, he loves bathtime and loves looking at books and pictures, oh and faces and real people! We’ve had a few visitors, and fewer classes due to the summer hols. It’s been great to have the sun back, makes life so much easier as we can go for walks and use the garden as an extra room. 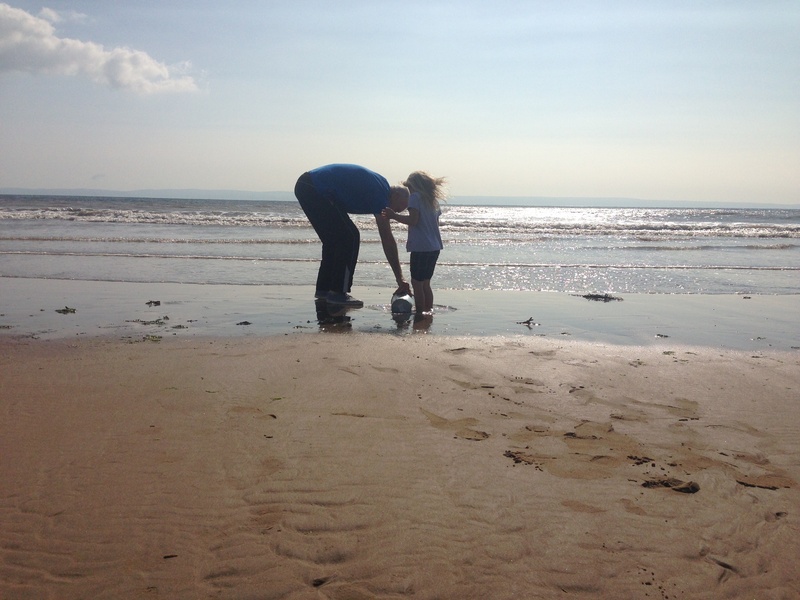 We’ve had some really lovely family days out like visiting beautiful beaches Southerndown and Ogmore; and a fantastic food festival at our local outdoor museum, St Fagans. My sister and I also took W to Cardiff Bay to see all the warships that were in town for the NATO conference – and we saw Prince Charles! One to tell him when he’s older! Still a distant memory! About a month ago, before he started teething, he was only waking up once at about 2-3am. Then teething messed that up, and now I believe we’re in ‘4 month sleep regression’ as he’s taken to waking up hungry at least 3 times -about 11pm, 1am and 4am. He settles ok after these feeds, helped by me whispering ‘twinkle twinkle….’ to him – the things you try! 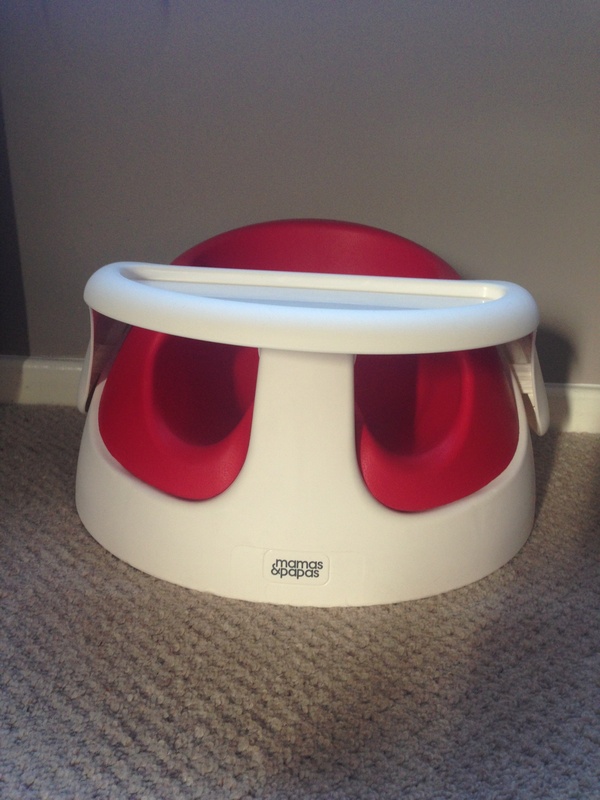 Also bought a Bumbo chair which I then changed for the Mamas and Papas ‘snug chair – blog to follow! And also bought the ‘no cry sleep solution’ book – wish me luck! 13 tips for mums-to-be: things that I wish I’d been told! Anyway this got me thinking about things I WASN’T told but wish I had been! Get fit – as soon as you find out you’re pregnant (ideally before, if you’re planning!) get as fit as you can – in the third trimester I had some real achy days where I ached from head to toe, and by then it was too late to do anything apart from pregnancy yoga – I should have done lots of swimming…. Being fit will also prepare you for labour which is the biggest workout of your life! Join a community – ok so this is a tip I was given (but only by one person so it doesn’t count!) which was to join a Facebook group called ‘Due in May 2014’ which I did and it ended up being a great resource where you could ask stupid questions that you might not want to ask friends/family etc. And actually even more than, you could see questions that other members were asking that you hadn’t even thought of! By now it feels like a proper little community and I would recommend you find something similar whether it be Facebook, forums or *gasp* a real-life group! Everyone tells you to stock up on nappies and fill your freezer etc but I think you should also stock up on everything from loo roll, toothpaste, cat food to shower gel – your ‘nesting’ time is a perfect time to do this and fill up all your cupboards so that in the first few weeks you only need to worry about getting fresh food in – the more prep you can do in those last few weeks of pregnancy, the easier the first few weeks of parenthood will be! Leave tags on stuff/keep packaging – during that nesting period you will have the urge to make your nursery as beautiful as possible even though the little munchkin won’t be in there for another few months…. in doing so, I took some bedding, blankets out of its packaging but I’ve since realised we won’t need it as we were given so many so I could have taken them back. Ditto clothes – I would never exchange any gifts, but I could have exchanged stuff I’d bought that we wouldn’t end up needing…. Get your screwdriver kit handy – for some reason, everything from our play gym to our sleep aid needs a screwdriver to change the batteries which reminds me…..
Buy a range of batteries when you’re doing #4! AA, AAA, C, D… the list of battery types in baby equipment is endless! Get a copy of your yellow folder – when you’re pregnant, you get given a folder to take to every appointment. This becomes a record of your bump and scan measurements, and details of your labour…. when you’re signed off by the midwife about 10 days post-labour, she will take this folder with her and I so wish I had taken a copy before she had… so many memories! 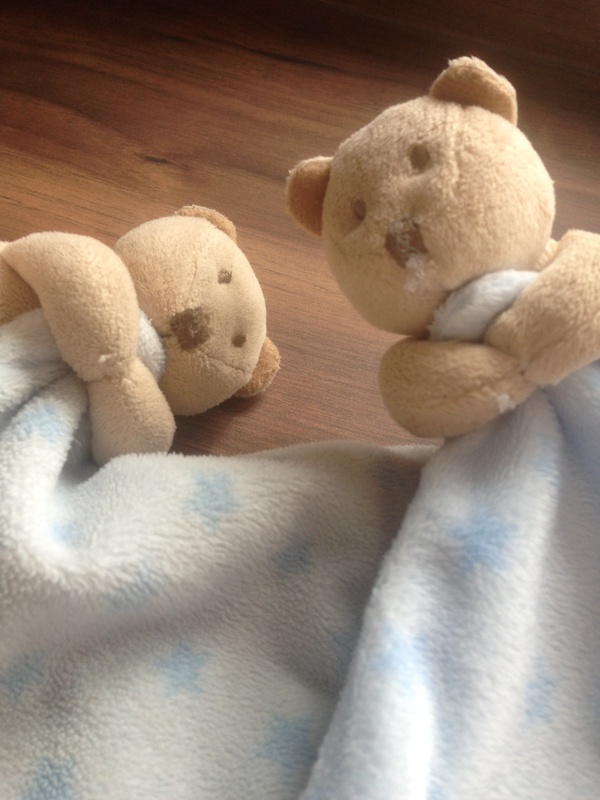 The nights will be surreal – In those early few weeks I used to wake so often thinking that baby W was still on me, and said to my other half on a few occasions ‘can you take him off me?’ even though he was sound asleep in his basket! The sleepless nights are tough, but you’ll cope and get used to it! Poo comes out in the rain – despite having an expensive washing machine, the best thing I’ve found to get poo out of muslins and clothes is to leave them out in the rain- I think it’s the combination of UV light and volume of water that does it! 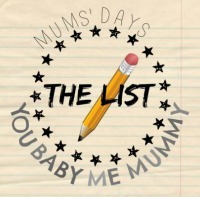 Mums – have you got any tips/things that you learnt the hard way to add to this list?! Author yummybloggerPosted on September 3, 2014 November 28, 2014 Categories parenting, pregnancy27 Comments on 13 tips for mums-to-be: things that I wish I’d been told! Still addicted to my iPhone? A week ago I set myself the challenge of cutting down on my iPhone usage as I was finding myself getting addicted to checking things like Facebook and Twitter a million times a day! By leaving my phone in a different room for most of the day and only checking it during naptime I am definitely using it less – the temptation has gone! However, I realised how much I use it for other things like the camera, notebook and baby apps – so I’m using an old school notebook and pen – old school, I love it! Although I don’t think I’m missing much on Facebook, I do miss getting involved in some of the Twitter banter with other mums etc! Have you tried cutting down too? Any tips you can share with us?! Author yummybloggerPosted on September 2, 2014 Categories opinion, parenting4 Comments on Still addicted to my iPhone? 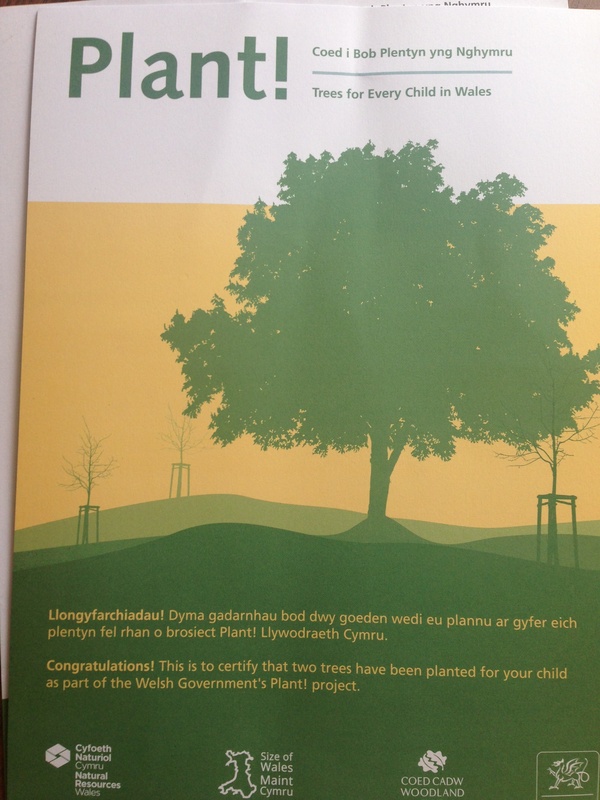 The Welsh Government, has planted not one, but two trees for baby W! One is in a forest in Wales, the other is in a family’s garden in Uganda to help them to try and grow crops and make a living…. The name of the scheme is ‘Plant’ which conveniently translates into the Welsh word for ‘children’. They sent us this certificate which you can see, and also an accompanying letter telling us a bit more about the scheme including the grid reference details for baby W’s tree in South Wales! Why was it one of my favourite pieces of post? I like to think I care about the environment, and helping poorer countries like those in Uganda…. but I am lazy… this allows me to help these causes while not lifting a finger! For both of those reasons above, opening this bit of post gave me such a feelgood factor! Especially considering it’s from the Government – I pay my taxes and in theory get a feelgood factor from having access to free health, education etc but the reality is we take these for granted. This, on the other hand is a cute use of taxes – a small, tangible, important and meaningful gift for every baby in Wales – thank you! Diolch! So what do you think about this? Do they run anything similar in your area? If not would you like them to or do you think it’s a waste of money?! I’d love to hear your thoughts…. Small print: I wasn’t asked by anyone to write this post, I just love the scheme and wanted to spread the word!